The WORLDPAC Training Institute (WTI) has added a new tool to its Business Calculators section - a break even calculator! 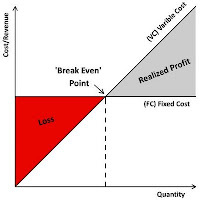 The break even calculator helps Independent Service Centers determine how much they need to sell to break even. WTI Business Management classes provide training in the management of the independent service center and have been presented to thousands of WORLDPAC customers. Tools provided in the classes help service centers increase productivity, increase profits, and teach managers how to deal with troubled areas of the business.